King Charles V was raised in Flanders, the son of Philip the Handsome and Joanna the Mad. He was the heir to three major dynasties, and at one time ruled over Central, Western, and Southern Europe, as well as American and African colonies. Charles ruled over Aragon, Castile, and Leon at the same time, making him the first actual King of Spain. King Ferdinand had wanted his grandson by the same name to be king, but on his deathbed he reluctantly rescinded his will and chose Charles instead. Charles, who spoke no Spanish, immediately alienated his subjects by appointing Flemish couriers to all the key positions. He further angered the Castilians when he attempted to make them pay for his election to the office of Holy Roman Emperor. 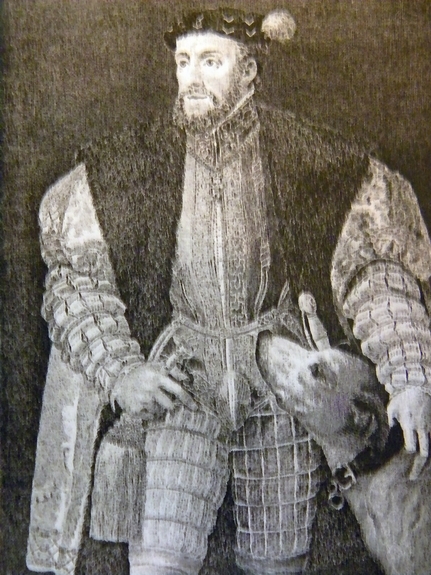 Charles V had won the election by spending enormous amounts of money. Almost all of the money had been borrowed from German banks. Almost as soon as he won, Charles moved to Germany. At this point, the Castilians were left with a massive tax burden, and an absentee king. Then, in 1520, the disgusted Spaniards rebelled in what became known as the revolt of the Comuneros or Communes. The Comuneros demanded that Charles return to Spain, stop taxing them to death, and stop appointing foreigners to office. The revolt failed when Charles returned from Germany with 4,000 German troops by his side. Before long, Charles would become very successful in his conflicts in both the Old and New World. The Spaniard people rejoiced over the conquests of Cortes and Pizarro. They celebrated even further when the gold and silver began flowing into the coffers of the Crown. The conquistadors paid an enormous tax on all of the treasures that they took from the Aztecs and the Incas, one-fifth of every dollar. King Charles tax collectors went wherever the conquistadors went. They not only collected taxes on the gold, silver, and jewels recovered, but they also collected one-fifth of the value of each slave captured and sold. At this time, slavery and land sales were the two biggest businesses in the world. Militarily, Charles V was very successful. War dominated his reign. He defeated the French, the pope, and the Turks. Also, he opposed the Protestant Reformation by declaring war against the Protestant princes of Germany. Then, in the New World he conquered numerous cultures including the Aztec, Maya, and Inca. However, Charles became embroiled in too many conflicts in too many areas of the world to take advantage of his successes. Before long, Charles and Spain were again crushed by debts. Almost all of the royal revenue was now owed to German and Italian banker-merchants. In order to satisfy debts, Charles gave the entire country of Venezuela to the Welsers of Germany, and included all of the people who lived there in the deal. They were subsequently barbarously exploited. In an attempt to get out of debt, Charles multiplied taxes and promised debtors future American treasure. When his son Philip took over the throne in 1556, the entire country of Spain was bankrupt.